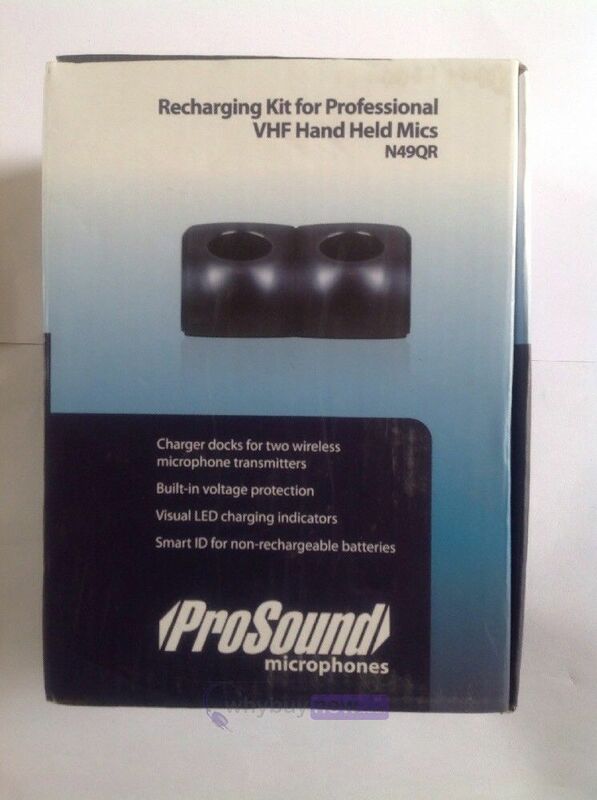 Boxed as new, this Prosound N49QR which is a docking station to recharge one or two VHF handheld wireless microphones. 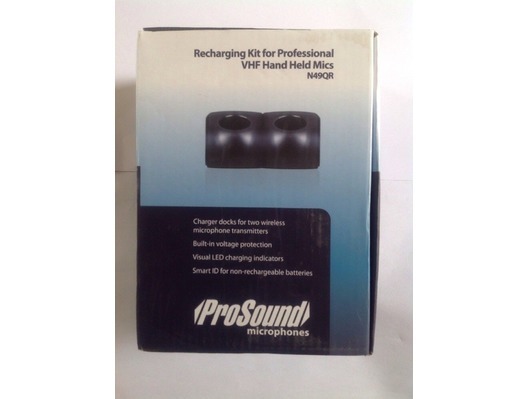 Compatible with Prosound Wireless mic models N46QR or N47QR. Smart ID for non-rechargeable batteries. charging time - 6 hours.